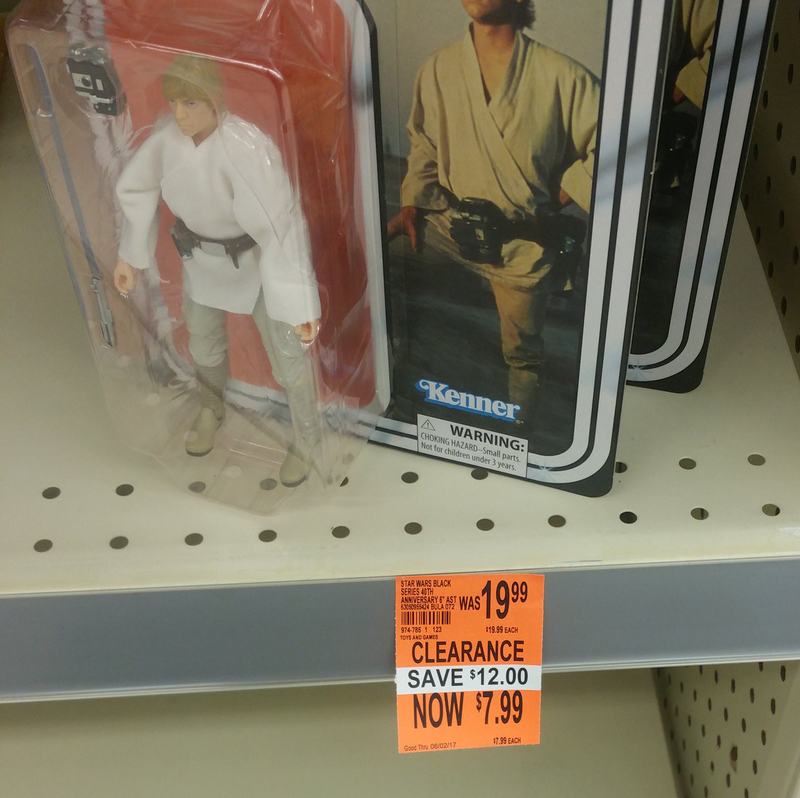 YMMV: $7.99 40th Anniversary Figures at Walgreens? Your mileage may vary but we’ve received a few reports that the 40th Anniversary Collection of 6″ Black Series figure has hit varying reductions of clearance across the US. The lowest we’ve seen is this store in Newberg, OR for $7.99 each. Thanks to soybean311 for the image and report. StarWars.com has updated today officially announcing Doctor Aphra as the winner of the Hasbro Fans’ Choice poll. Coming in second was Ahsoka (Star Wars Rebels). Congrats to those that voted for Aphra and thank you to all that participated in the survey. 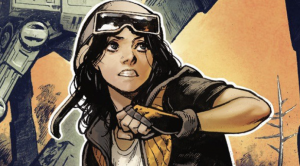 Look for Doctor Aphra to join the 3.75″ Vintage Collection line in 2018. The winner of this poll will be realized in super-articulated form and released on the Vintage Collection card back in 2018. Vote early, vote often. Hasbro Fans’ Choice Poll MIA? 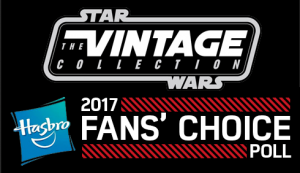 We’ve been getting a lot of questions via email and social media regarding the status of the official Hasbro’s Fans’ Choice poll for the 3.75″ Vintage Collection. Per Hasbro press release and StarWars.com’s post, the poll was to have started yesterday (April 26) and run until April 30. As of this post, the poll has yet to go live but we’ll announce it as soon as it does. 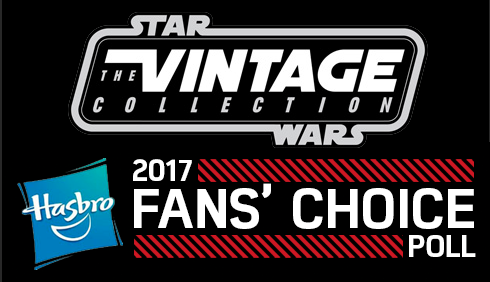 The votes have been tabulated and we now have your top 6 characters to submit to Hasbro for the 2017 Vintage Fans’ Choice poll! Click on through to check out the list. Thank you to all who participated (and followed the rules)! Here is a great video from Action Figure Attack on Facebook showing the return of the Vintage Collection at Hasbro panel from Star Wars Celebration. Kudos to Hasbro showing that they really do care. Look for TVC to hit pegs once again in Spring 2018. Back by popular demand! Hasbro is once again asking you, the fans and collectors, to help determine the next figure(s) released in the 3.75″ Vintage Collection line. Click on through for details on how to cast your vote for the 2017 Fans’ Choice Poll! The Yakface Toyguide returns from semi-retirement today with the addition of the Exclusive 3.75″ Astromech Droid Pack from Entertainment Earth. PROS: If variety is the spice of life then this set is for you as Entertainment Earth has created a truly unique boxed set featuring several different astromechs pulling from live action and animated sources. My favorites of the set include Jabba’s unnamed bartender droid – a figure I for one never expected to receive; R2-C2 – Ziro the Hutt’s bartender/service droid mainly because of the wild deco; and finally, QT-KT because of its reference to R2-KT and a great arc in The Clone Wars series. The sculpt used for the base of each droid is recycled from the Vintage Collection R2-D2 (VC25) which is a solid design with a decent amount of articulation for an astromech. CONS: This biggest complaint I’ve run across for this set is the price, which is interesting considering the cost breakdown per figure is about what we pay at retail now for TVC/Black Series quality figures. Secondly, depending on your mileage, paint apps are a little loosey-goosey on some droids, and not quite accurate on others so it’s a mixed bag, but nothing that should stop you from acquiring this set. Thirdly, a couple of the astromechs have issues with the retractable leg remaining in its fully-extended position, resulting in the droid falling forward. And finally, the first runs of this set have a four digit date stamp pressed into each of the 6 domes* which is disappointing, but it is on the back of the dome so it’s not really a deal breaker either. Head to the toyguide for our detailed image gallery and to judge for yourself whether this set is worth adding to your collection. *According to Entertainment Earth, the date stamp should only be present on these early samples and production pieces will not have them. Note: this advanced sample was provided to us by Entertainment Earth and I’d like to thank Bethany and Adam for including us in this early product reveal. UPDATE: We have added six new images into the toyguide for this set to reflect the final production versions which eliminate the production stamps on the back of each dome. Jedi Insider alerts collectors (by way of Robot Kingdom) that a new wave of 3.75″ Black Series is coming soon to Walmart. The wave consists of Ahsoka Tano, Admiral Ackbar, Emperor’s Royal Guard and General Lando Calrissian – all of which are repacks from The Vintage Collection.